Due to its size and location, Canyon Ferry Reservoir is very popular and receives the most use of any lake in Montana. 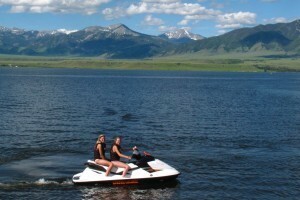 Renting a Sea-Doo® personal watercraft for the day is the perfect way for families to enjoy Ennis Lake. Plus, Suzuki King-Quad 400 ATVs or Teryx UTVs. Canyon Ferry has many backroads around this popular waterway. Whether to camp, or just a day-ride, rent one of our Jeep Wranglers to enjoy comfort and access to new terrain. The Canyon Ferry Reservoir is located 20 miles northeast of Helena, MT. The Lake offers excellent fishing, access to all types of water sports, three marinas, campgrounds and great wildlife viewing. The Bureau of Land Management operates a visitor center at the lake. 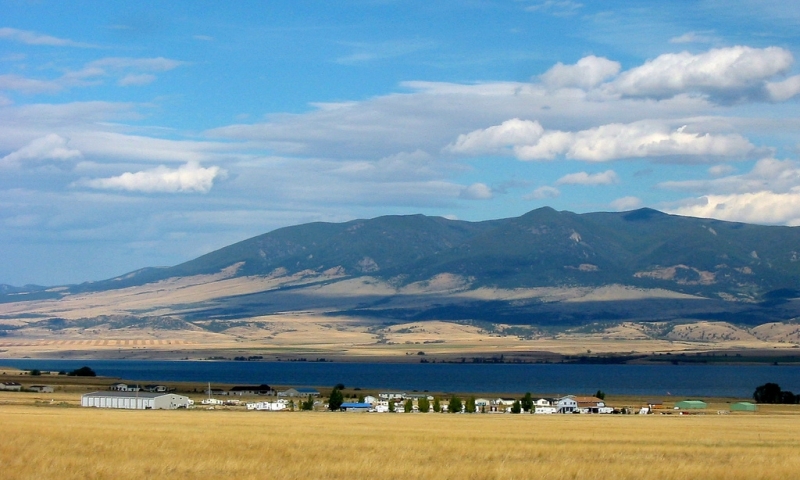 Located near Helena, Montana, Canyon Ferry Reservoir covers 35,181 surface acres and 76 shoreline miles. The Canyon Ferry Reservoir can be found approximately 20 miles northeast of the capital of Montana along US Highway 287/12. Canyon Ferry Lake is accessible year round. However, the colder weather during the winter months curtails many of the activities on the lake. The Lake offers excellent fishing opportunities for rainbow trout, perch, ling, and walleye. Concrete boat ramps, campgrounds, day-use areas, shelters, swimming areas, and three marinas are available for recreational use. The Bureau of Land Management operates a visitor center at the lake offering a wealth of information on the history, recreation and special requirements for the reservoir. Anglers will have luck in quiet spots near land, the dam, as well as out on the lake. Canyon Ferry Lake is stocked each year with rainbow trout. Other species fished for include brown trout, burbot, ling, and Yellow Perch. But for many of the locals, what really excites anglers at Canyon Ferry is its walleyes, best caught with crawlers and jigs. Early spring usually results in productive shore fishing for rainbow trout, but as the water warms up, anglers should fish from a boat to access larger fish tending to swim deeper. 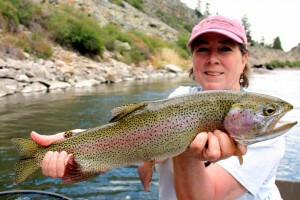 For out of state anglers and locals alike who want to try lake fishing, Canyon Ferry is an excellent choice. Consider checking out some of the area fishing and guide outfitters listed here as well as the local marinas and lodging options during the main service season, May through October. 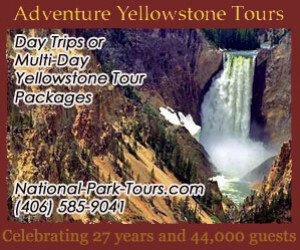 The wildlife viewing in the Canyon Ferry Reservoir area is quite impressive. The area is one of the best in the country for viewing large concentrations of bald eagles. A wildlife management area at the end of the reservoir is managed by the Montana Department of Fish, Wildlife and Parks and is home to a colony of terns and pelicans. Access to Canyon Ferry Lake is excellent. Numerous designated access sites exist all around the lake. Due to the popularity of the lake and its close proximity to Helena, virtually all services can be found on or near the lake, particularly along its western edge. 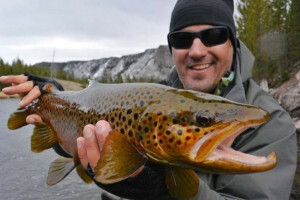 For an out-state angler in search of rainbow trout who wishes to try something different than the popular rivers, Canyon Ferry is an excellent choice. Flathead Lake, near Kalispell Montana and Glacier National Park, is one of the State's recreational highlights.